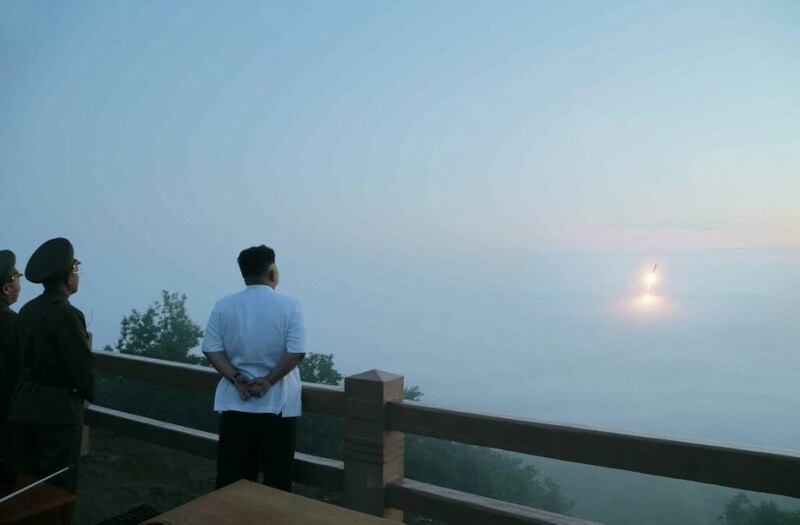 Supre­me Com­man­der of the Korean People’s Army Kim Jong Un, first secreta­ry of the Workers‘ Par­ty of Korea and first chair­man of the Natio­nal Defence Com­mis­si­on of the DPRK, gui­ded a tac­ti­cal rocket firing drill of the KPA Stra­te­gic Force. […] He gave an order for firing tac­ti­cal rockets. The moment bal­listic rockets soared into the sky with thun­de­rous roar. Even when you depict a land­s­cape or the way of life, you must never attach impor­t­an­ce to its­elf but sub­or­di­na­te it to the ideo­lo­gi­cal con­tent of an arti­cle.